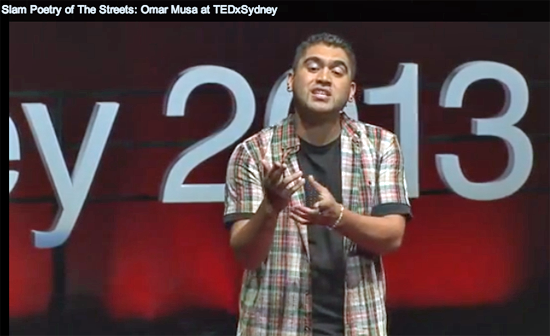 Omar Musa gave an electric poetic performance at TEDxSydney 2013. What I loved most about his talk is that his poem sounded like a conversation at first but then with the skill that only comes from a master wordsmith he worked up a series of vivid pictures as he shared characters and ideas in a rich brew of poetic colours. I’ve heard many great performers including spoken word and Omar is the real deal. You need to hear the these words delivered even though they work on the page poetry is a spoken form. 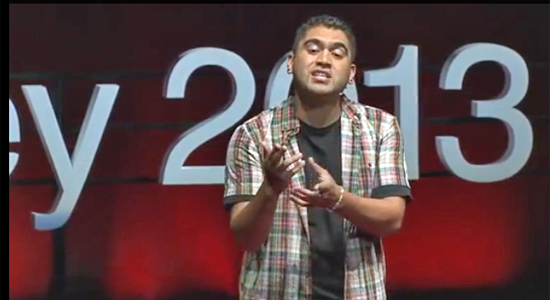 Listen /watch the poem first and I have added a correct transcript of the last 120 seconds below.